Any new version of iOS by Apple no doubt brings loads of newest features along with slight design changes, improved functionality, refined features, as well as performance enhancements. Various apps too get updates frequently. One of the apps that is mostly used by iOS users is Notes app. The app always has been of great use for simply jotting any of your thoughts down. You can even make a checklist or simply draw a sketch. And due to iCloud, any changes made will be automatically updated across on all the devices as well as on iCloud.com. But what if you accidently delete the notes? Do you know how to recover deleted notes on iPad? Today we will be discussing the best ways to solve "how to retrieve deleted notes on iPad air" issue. In the iPad's Notes app, notes will not disappear immediately as you delete them. Instead, these notes are saved for almost 30 days in the device before they get permanently deleted. And before they get permanently deleted, we can just recover the deleted notes iPad back from the device itself, but within the 30-day time. Follow below steps for iPad notes recovery. Step 1: On your iPad, launch Notes app, and head towards the folder screen. This can be done by clicking the Back arrow. Step 2: Click the folder Recently Deleted and select choose option Edit. Now click on the note that you wish to recover and select it. Step 3: Click the button Move To and select the Notes folder. Your deleted note will be recovered in the Notes folder. Another method to solve "how to recover deleted notes on an iPad" issue is using Email. In case you've linked the Notes app with any of your email accounts, then the notes must have got synced with the email. Follow below steps to know how to recover notes on iPad using email. Step 1: Firstly, log-in to the email account and verify if you can access the notes from the Web interface of the account. Step 2: In case you have access to the notes, head to iPad Setting >> Mail, Contacts, Calendars. Now choose the email account, and turn On the Notes. Step 3: In case the Notes setting is On already, then turn off and again turn On so as to sync the notes again. With this, all your notes will be recovered on the iPad again. In you did not sync the notes with any of your email accounts, though you've them backed up with iCloud/iTunes, simply go for third method to know how to recover lost notes on iPad. If you've ever taken a back up of iPad on iTunes or iCloud, you can restore your deleted notes from the backup itself. Before restoring the notes, let's check if you have them in your back up. Step 1: Go to Settings >> Your Name >> iCloud. Now click on Manage Storage >> Backup. Step 2: Click on the device name to verify the date of your latest backup. Now simply restore the data from this iCloud backup. The last solution to retrieve deleted notes on iPad mini is Tenorshare UltData. It is the best tool to recover all your deleted Notes on iPad or any other iOS device. 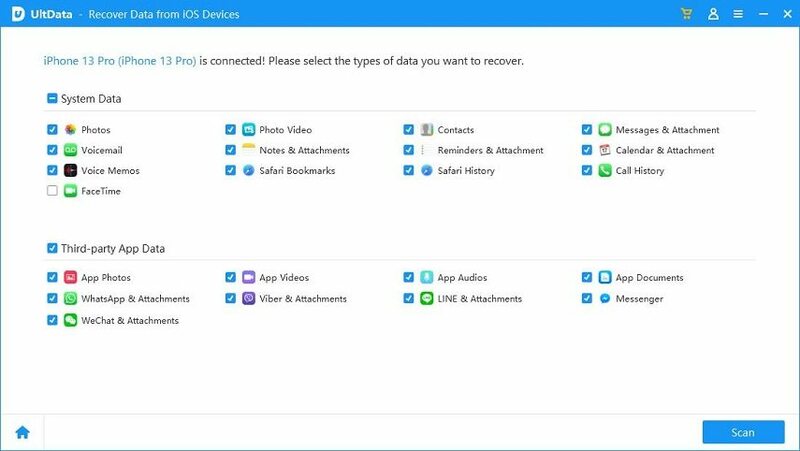 Along with Notes, the tool can also recover other deleted data also and that too with simple steps and with ease. Follow below steps to solve the problem. Step 1: Connect your iPad and your computer and run the Tenorshare UltData software on your Mac. Step 2: Now tap on option Recover from iOS Device option and click on "Start Scan" so as to scan your iPad's entire data. Once the scanning process is done, preview the data and find the deleted Notes that you wish to recover. Step 3: Choose the Notes you want and tap on option "Recover". Your deleted Notes will be recovered in no time. 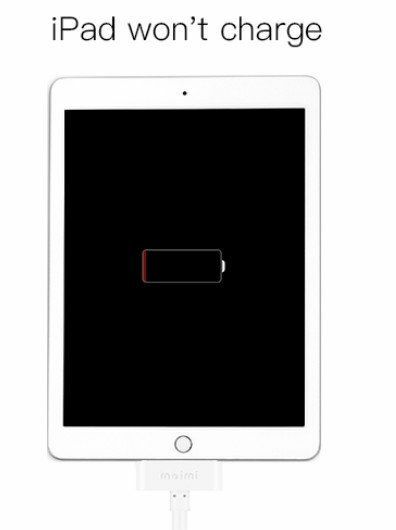 In the above article, we have discussed the best and the simplest ways to answer your "can you recover deleted notes on iPad" question. If you want to recover your deleted notes with easy, simply go to Tenorshare UltData. The iPad notes recovery tool's Recover from iOS Device function will give back your notes without any hassle. Do share your feedback with us in below comments.